I was given the opportunity to review The Live Longer Pillow. A fantastic pillow designed to extend your life for 15+ days each year. Right away I was like how is that going to happen? The pillow is designed using Pinus Cembra wood as the filler of the pillow. Pinus Cembra Swiss pine, Swiss stone pine or Arolla pine that grows in the Alps and Carpathian Mountains of central Europe. Poland, Switzerland, France, Italy, Austria, Germany, Slovenia, Slovakia, Ukraine and Romania. Click HERE to read about the scientific test that concluded that using the Live Longer PIllow provided each participate with an additional 15.2 days per year life extension plus find out the 10 health reasons the Live Longer PIllow makes a difference! I must say when I use the Live Longer PIllow I wake up feeling great. I never would've thought that sleeping on shaved wood would be comfy - but it is. The smell is very relaxing and soothing after a long day. I think it is amazing how scent is so powerful to help reduce stress. I was sent the Meditation Live Longer Pillow ~ a gorgeous earth tone orange pillow. My pillow is 16" x7" perfect size for a comfy pillow. No special maintenance is needed for my pillow. The outside case is washable. To keep the Pinus Cembra chips activated all I need to do is place the inner pillow outside so the pillow receives approximately 2 hours of sunlight a month. That is it! AMAZING!!!! 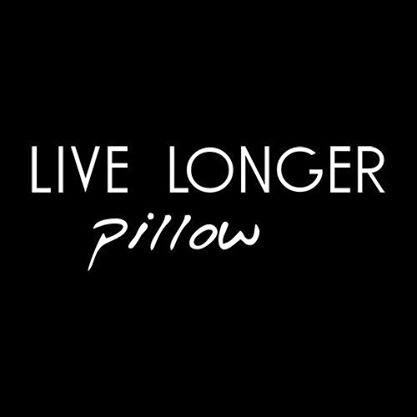 Make sure to check out their website for the the test results on how the Live Longer Pillow can benefit your life. That sounds like something I Need to check out. Who wouldn't want to extend their life? Wow, I've never heard of anything like this before! I should get one for my dad! I love that the outside cover is washable! It's such a pain to keep pillows nice and clean. I think that's one of my favorite features too. Pillows get yucky fast! Okay, now that is fascinating! Will have to check that out -- of course I want to live longer! I think I could definitely benefit from this pillow. I think my mom would also enjoy trying this out. that's in interesting benefit. I'm not sure if I really like the pine smell though. The scent is very delicate and not pungent since it’s just pure wood, no essential oils or fragrance enhancers whatsoever. Even if it’s difficult to describe it with words I can say that the Live Longer Pillow aroma it’s very different from the Pine fragrance as we know it in other products. It’s a lot closer to the perfume of fresh cut lumber, which is still a matter of personal preferences. Sounds like a good pillow. I like that the exterior is washable. Wow, 15+ days each year? That's so interesting! I'd love to give this pillow a try! Well this is so interesting! I've never heard of this pillow before. Extend life? Yes please! This really is interesting. And I like that the pillow case itself is washable. This sounds very intriguing. I have allergies, so I love that it has an outer case. That will let me use it without fear of allergic flare ups. What an interesting concept. I'll have to try this out. Wow this sounds so neat. I will have to try this out! Because of my crooked issues due to the degenerative disc and osteoarthritis along with the migraines I discovered round pillows long ago for sleeping. I love them and it greatly reduced my aches and pains. I am going to have to check out this one for sure. I love round pillows because I have chronic neck pain. This one looks awesome and I think I would like the smell. And the health benefits! This sounds like a wonderful pillow. I especially like the idea that the outer cover is washable. Washable covers are a must when I'm buying pillows like this. It's so much less tough on my allergies. Oh my gosh, this pillow sounds so amazing!! I love pine so much so this is so appealing to me, and unique! This totally sounds like something that needs to go on my holiday gift giving list! I am having major neck issues! Maybe I need to try this pillow. That looks like a nice pillow. I could use it on my upcoming flight! What a great idea! I'd love this pillow. Wow that does sound like a great pillow. Pillows get so flat, I like the life span on this one. I love pillows! I would love to try this one out. Hmmm Now that is one to contemplate. I know sleep helps prolong our lives as even our organs need down time. Wow, that is insane! Sleeping does prolong life now, how neat! I'm sure my comment went if so, feel free to delete this one. How amazing. I've never heard of such a pillow. The prolonging of life facts are truly amazing, too! Interesting. I wonder if this really works - at least it seems like it'd smell really nice. What a cool product. I'd like to give it a try. I totally to try this out! I'd love this to take along in the car for road trips. This is such a neat pillow design. This is definitely a must try for me. I am not sleeping well and always wake up sore and tired. I would like to read the research on this product. Thanks for sharing. This sounds like something for me. I could definitely use an extension on my life. Sounds like an interesting pillow. And if I wake up feeling great then even better. Well, that sounds like an amazing pillow! I bet you fall asleep quickly too with how relaxing the scent is! I love new innovations in the relaxation department. This pillow looks great! I've never heard of this kind of pillow before, very interesting. I'm off to look into it a bit more. Thanks. Seems weird to be honest, but it did get me curious! Glad you enjoyed it ... maybe I'll look into it further. A good pillow is so important! Definitely intrigued by this one! What an interesting concept. I be the better sleep and more relaxed state before sleep significantly impacts your rest and well being. Sign me up! Sounds delightful! I've never heard of this pillow, but you had me at PINE! Wow, this sounds so interesting! I'd love to know how it works exactly. Wow - extending your life by 15 days a year? That's fantastic! Definitely an interesting concept. This definitely sounds like something worth looking into. I struggle with pillows so maybe this one would be better. I am definitely intrigued and very curious about this pillow. A good pillow makes all the difference in how I sleep and I am definitely willing to invest in a good one. That is so awesome! This is going on the Christmas list for the hubs & me! I've never heard of this pillow before. Sounds like a great gift! I have never heard of this product before. It looks like it might be a good travel pillow. the fact that it contains pine wood is really appealing! I would love to try it out myself! Must smell so good too! Pillows are something we don't give much thought to, until we truly need one that is. What's more, with all the diverse sorts of Pillows it's generally great to know which sort you require. When people think of pillows, they often think of comfort, and that is not wrong. Comfort is a big part of the quality of a good pillow. However, there is another very important issue to consider when looking for the right pillow for your bed—the support quality. Great article! I also hate going to the showrooms in a search of new furniture and stuff for my home. So here is a recommendation I was searching for! 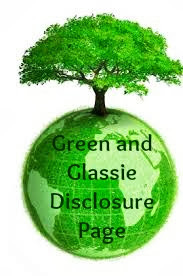 You make it all simple as it should be, pointing on the basics yet most important parts and the privileges! I will definitely try Novosbed!